Blazers, baby, it's all about blazers. 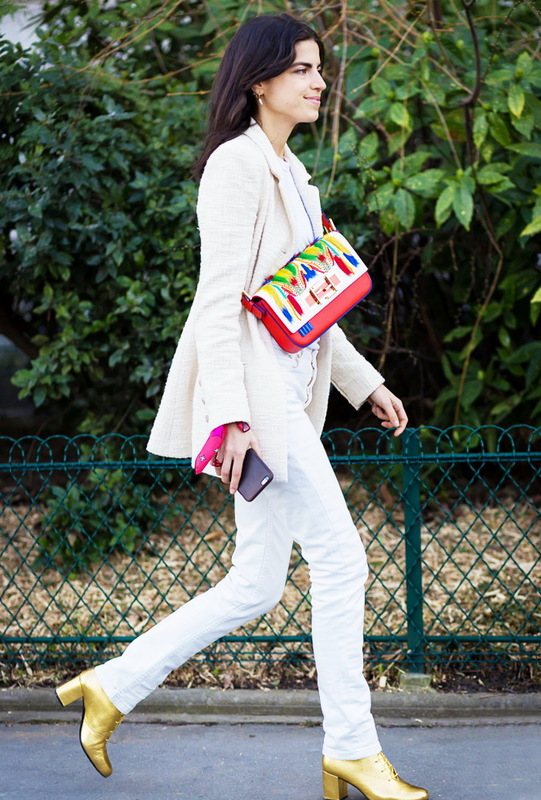 Today I want you to take a close up look at these gorgeous white blazers and best ways to wear them in the streets. It is a must-have piece what became a basic addition to your everyday outfit. Indeed, this cover-up is an ideal addition to any style, starting from casual to formal looks. If you still don't have it, then it's better to have in top of your to-buy list. It feels like white color is new black, as I see so many beautiful chics wearing white blazers around the city. I tell you honestly, white jacket looks totally fresh and different. Another great plus of this cover-up is the versatility, what allows you to wear it during summer and fall-winter months. Personally, I consider this layer to be sophisticated. Why? Just imagine yourself in a white blazer over a silky white shirt paired with in any color flowy trousers, skinnies or midi-skirt. Anyway, I think it's time to look through these images and choose the ones what you have to try. Tell me, what are your favorites? You can pair your white layer with grey, as you can combine white look with cool grey tee or shirt, so you look more casual. Or you can pair it with a girly dress or with a sweet blouse tucked in straight skirt. If you want to keep things neutral, then I recommend to wear a plain tee, what will surely give you a laid back and chic update. You just have to complete the look by adding boho inspired accessories in "artsy and fun" details. If you are one of those babes who likes to keep it glamour and a bit grungy, then I advice you to try a graphic tees underneath white blazer. I have loads of graphic tees in various shapes and colors. Personally, I like to wear boyfriends style T-shirt tucked in skinnies and covered with a sweet white blazer. I think it's enough with tops, now, let's talk about bottoms. 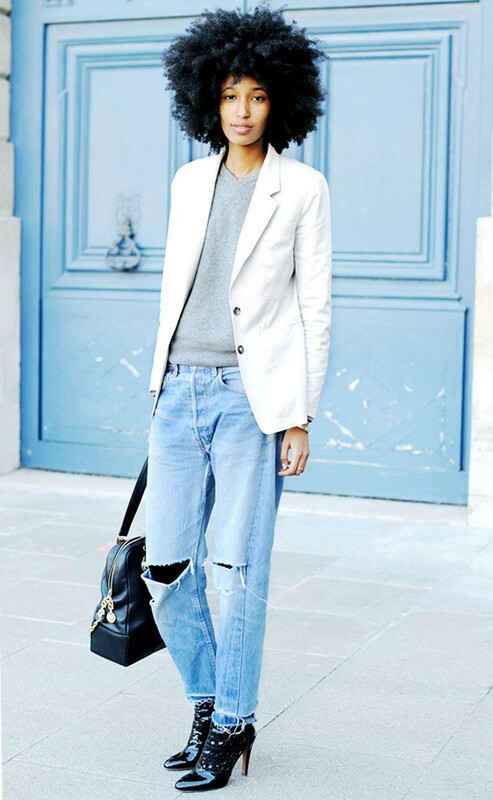 Try white blazer with distressed jeans. Ripped jeans will add a casual and relaxed look. If it's hot outside, then I advice you to try on short shorts and style them with a nice white jacket. If you are attending some kind of posh party, then the best outfit idea would be a LBD worn with white blazer. Doesn't look boring, contrary it's ultra chic and timelessly elegant.